Jagan Institute of Management Studies (JIMS) imparts professional education at post graduate and graduate levels in the fields of Management and Information Technology. The Institute has been working for the attainment of a mission: to develop highly skilled and professional human resource for industry and business. From a very modest start, it has now acquired a commendable position as one of the premier institutes of the country. The programme is divided in six semesters. An academic year shall be apportioned into two semesters. Each of the two semesters shall be of working duration of about 21 weeks as per the following breakup. There shall be a break of 2 weeks after every odd semester and vacation of approximately 6 weeks after even semester. Rohini 3, Institutional Area, Sector – 5, Rohini, Delhi-110085. JIMS Rohini Candidates applying for Bachelor of Business Administration (BBA) will have to take a common entrance test (CET) conducted by Guru Gobind Singh Indraprastha University in the months of April & May. Basic concepts of Business and Management are impart to the students. BBA provides an understanding and skills related to the use of Management and its applications. The basic objective of the programme is to open a channel of admission for Business and Management courses for students. Who have done 12th and are interest in taking Management as a career. 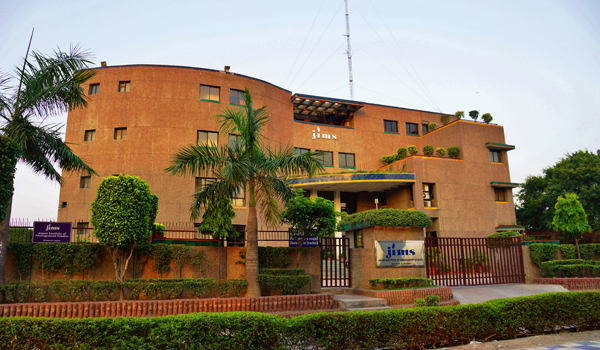 At JIMS Rohini, faculty is chosen with great care keeping in mind the diversity of the programme. Ample computer time is made available to the students in the well-equip computer labs to do practical work. Wi Fi enabled internet access on campus. JIMS Rohini provide you a platform to explore endless opportunities for stepping into further studies and research.